‘touchology’ is an exploratory investigation into a new wave of music where instruments and interfaces are designed around gestural controls. we regarded randomisable noise as a rising form of music and we wanted to turn it into a new form of expression. the white noise machine is controlled using a series of capacitive proximity sensors. 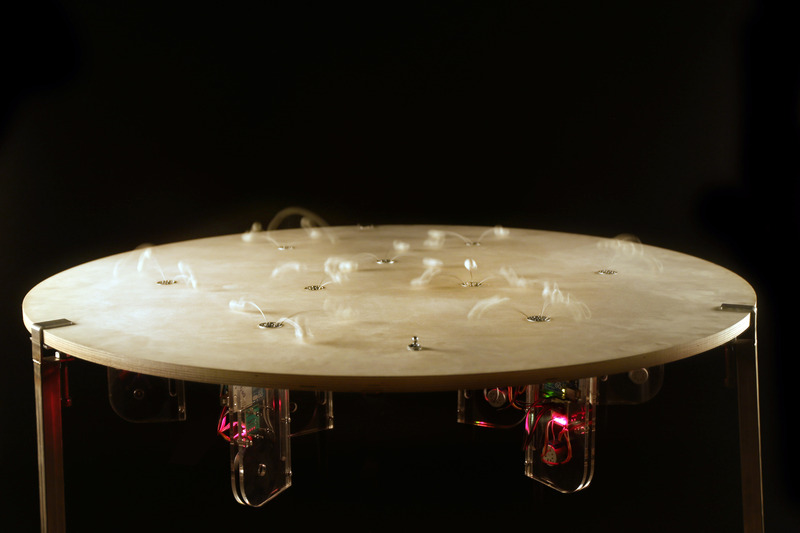 this allows it translate subtle hand movements into digital controls for the antennae. 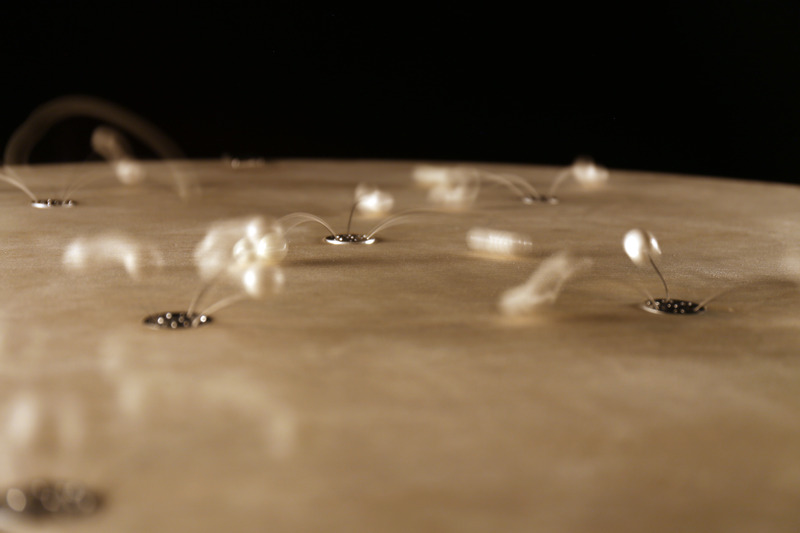 the random movement of the antennae creates a white noise soundscape, which the user can affect with proximity. a practical focus included the design and manufacturing process of a flexible display structure, antennae sensors and robotic operators. 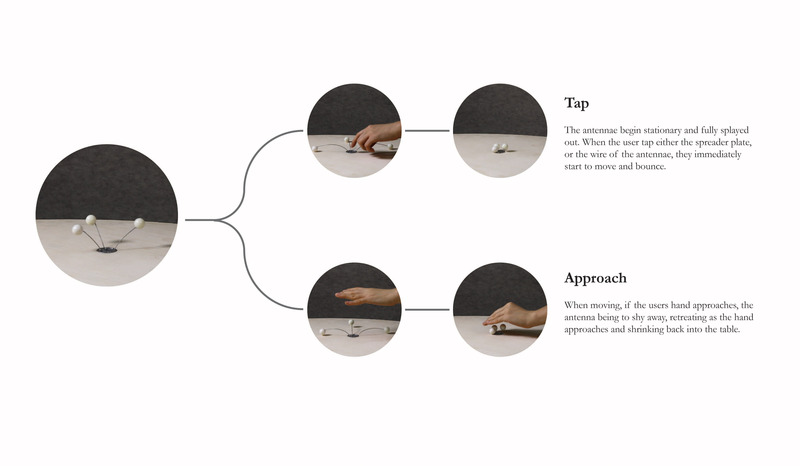 a parallel technological focus considered the electronic and coding, attempting to track hand movement with the capacitive proximity sensor, and use them to control the work without physical contact. The table starts stationary and silent. 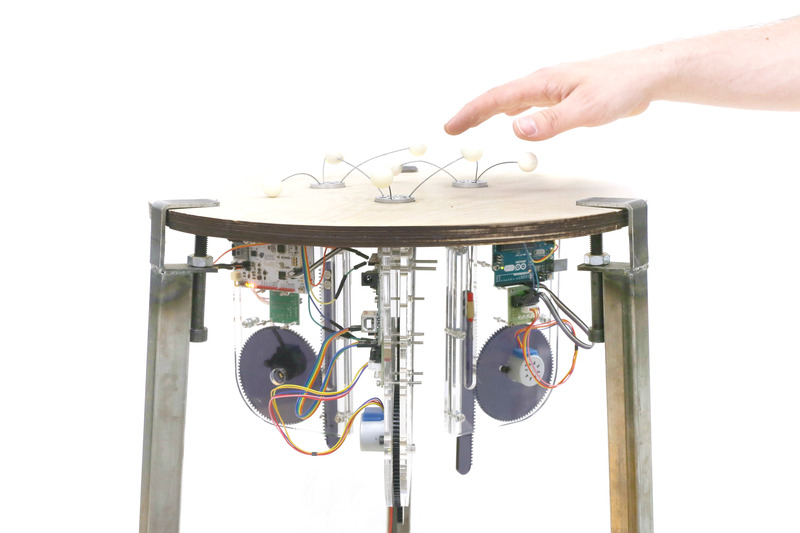 The user can tap the groups of antennae to play them by initiating their movement. 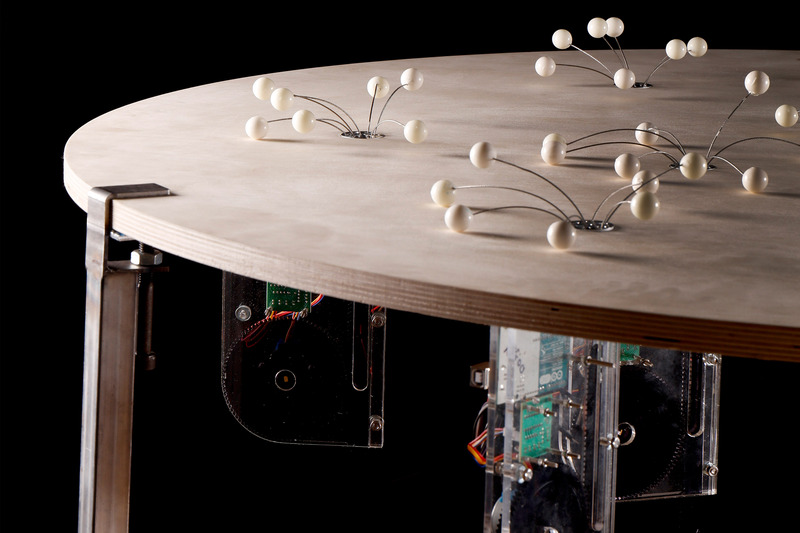 As the user’s hand approaches moving groups, the antennae shrink away, retreating back into the table, falling into silence.